Does being on time (Punctual) matter? Yes. It certainly matters a lot. 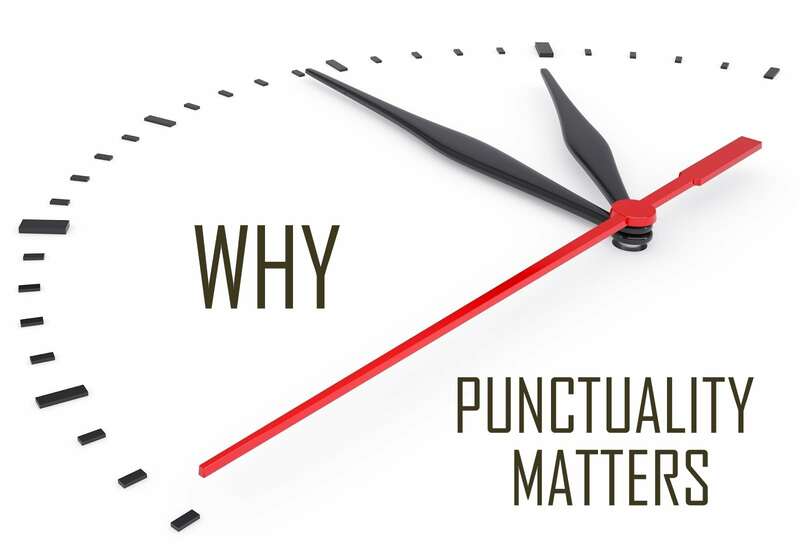 Punctuality can affect your job, reputation, overall performance. Non-compliance of punctuality results in complications. However, a large number of people continue to cause avoidable hassles due to non-adherence of punctuality. In reality, surveys display that 15 to 20% of people in a well-developed country like USA are consistently late to their duties surprisingly. Being chronically late can make you lose clients, it could make you fail in your activity, and it may strain your relationships with the folks who are highly essential to you. Measure the extent of Success. Delegation of work to your subordinates is not an opportunity for you to avoid temporarily the responsibilities but is an important function of management. Learn the art of delegating work to your subordinates in accordance with their suitability to the allotted task and their skill in the work. Before the start of the day, make a list of tasks that need your immediate attention because unimportant tasks can consume much of your valuable time. Some tasks need to be completed in a single day only while other less important tasks could be carried forward to the next day. In other words, prioritize your tasks to focus on those that are more important. Procrastination is one of the things that badly affects the productivity. It can result is wasting essential time and energy. It should be avoided at all costs. It could be a major problem in both your career and your personal life. Carry a planner or notebook with you and list all the tasks that come to your mind. Make a simple ‘To Do’ list before the start of the day, prioritize the tasks, and make sure that they are attainable. 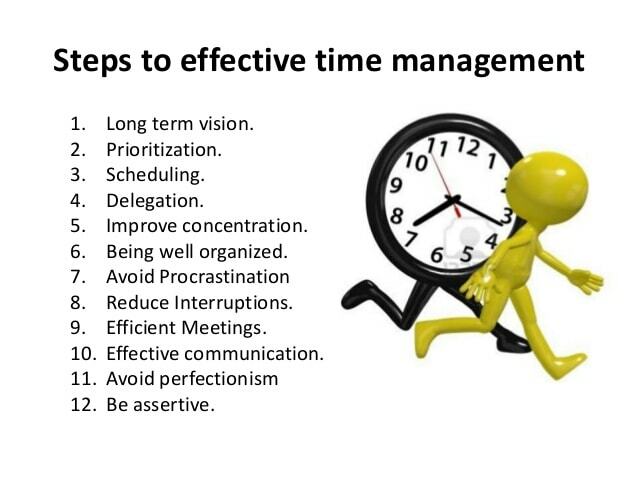 For better time management, you may think of making three separate lists: work, home, and personal. Stress often occurs when we accept more work than our ability permits. The result is that our body and mind start feeling tired which can affect our productivity. Instead, delegate tasks to your juniors and make sure to spare some time for relaxation for yourself. When you have a task at hand, set a realistic deadline and stick to it. 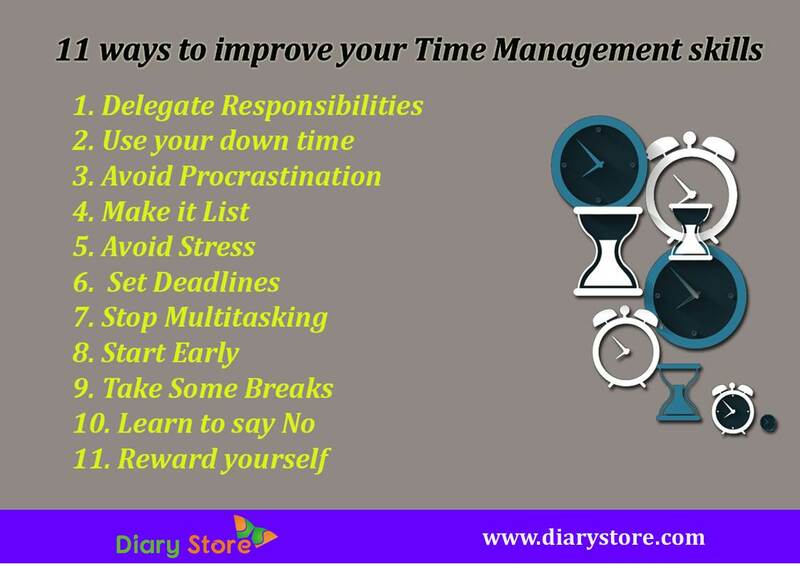 Try to set a deadline few days before the task so that you can complete all those tasks that may get in the way. Challenge yourself and meet the deadline. Reward yourself for meeting a difficult challenge. Most of us feel that multitasking is an efficient way of getting things done but the truth is that we do better when we focus and concentrate on fewer things. Multitasking hampers productivity and should be avoided to improve time management skills. Most of the successful men and women have one thing in common. They start their day early as it gives them time to sit, think, and plan for the day. When you get up early, you are more calm, creative, and clear-headed. As the day progresses, your energy levels starts going down which affects your productivity and you don’t perform as nicely as at the beginning of the day. Too much stress can take toll on your body and affect your productivity. Take a walk, listen to some music or do some quick stretches. The best idea is to take a recess from work and spend time with your friends and family. When you accomplish something, celebrate it! How you celebrate is up to you. My word of advice is to keep whatever you choose to do healthy, make sure it’s something you really enjoy, don’t do it in excess, and don’t let it cause you to get further behind. 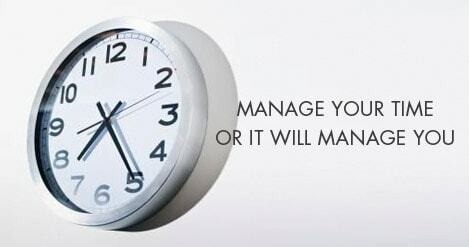 Time management skills are an essential part of making your day just a little easier. Find what works for you better and stick to it.